Mold is the bane of many a homeowner. It hides behind walls, down in crawlspaces, and in remote corners of the basement where you’d never think to look. Although it does its best to evade your grasp, it can’t be ignored. Mold has the potential to damage the very structure of your home and can cause innumerable health issues. Mold remediation is difficult, but not impossible. Will a dehumidifier do the trick? Mold thrives in environments where it is moist and dark. In addition to moisture, mold also requires a food source. In a home, this is usually something like wood, drywall, or even cotton. You generally see mold in areas like the basement, attic, bathroom, and laundry room. The longer you allow mold to thrive the worse things get so it’s important to nip this problem in the bud when possible. In short: a dehumidifier reduces humidity levels in your home. Any time water evaporates in your home it adds to the humidity. That means any time you take a shower, lay your clothes out to dry, or wash the dishes you are increasing the humidity in your home. All of this additional humidity creates the perfect conditions for mold to form. Since humidity plays such a big part in the growth of mold, it seems natural to assume that a dehumidifier will take care of the problem. Will Your Dehumidifier Kill Mold? As you read earlier, mold thrives in moist environments. Humidity can be a major source of this moisture, but it isn’t the only one. Burst pipes, flood-prone basements, and leaky roofs can also contribute to a mold infestation. A dehumidifier will help with your humidity problem, but if you have a persistent leak that is causing mold it won’t do much about that. Will tackling the humidity problem kill mold? Well, not quite. A dehumidifier may stop mold from growing, but it won’t kill existing mold outright. In order to truly eliminate mold, you need to remove it and remove the conditions allowing it to grow. A dehumidifier can help with the latter part, but that’s only half of the equation. You also need to get rid of existing mold spores. The best way to get rid of mold is by getting in touch with a professional for a mold remediation. A remediation will not only remove the mold, it will eliminate the conditions that allowed the mold to grow in the first place. A professional will also have the experience and equipment necessary to remove the mold safely. No, a dehumidifier won’t kill mold, but that doesn’t mean it’s a bad idea to get one. A dehumidifier can prevent new mold from growing, so it is a good tool to have if you want to get rid of that pesky mold permanently. When it comes to removing mold outright, your best bet is to consult a professional with experience identifying and removing mold. It’s important that you don’t attempt this yourself, as you don’t have the qualifications necessary to safely and effectively eliminate mold. 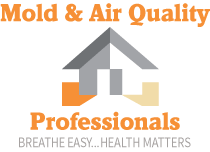 If you think you may have a mold issue in your home give Mold & Air Quality Professionals a call today for a free in home estimate.